Dr. Karen Sokal-Gutierrez, a pediatrician I know who teaches in the UCSF-Berkeley Joint Medical Program, is involved in a health program in El Salvador that among other things focuses on the dental health of urban and rural kids. 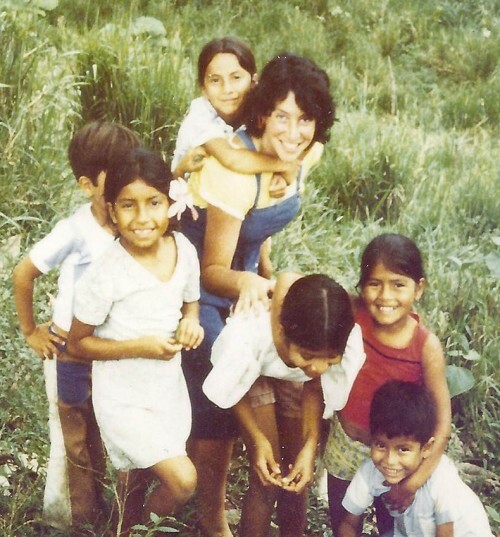 As she explains, when she was a Peace Corps volunteer thirty years ago, the kids had perfect teeth and beautiful smiles. She has a collection of photographs to prove it (she sent me this one). 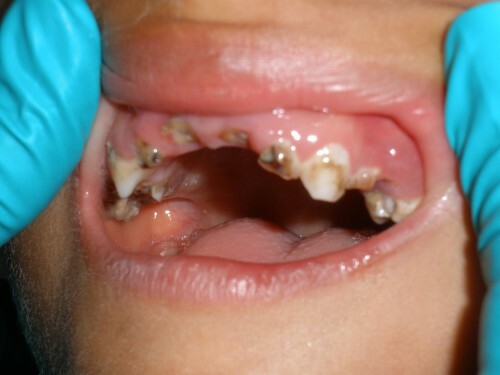 Today, kids' teeth are rotted to the roots as a result of the introduction of sugary drinks and snacks. She and her students are working to educate parents to take care of their kids' teeth but also to feed their kids healthier foods. PBS NewsHour has just done a segment on her program (it's a bit over 7 minutes). The efforts of junk food and soda companies to sell products in developing countries. The effects of junk foods and sodas on kids' health. The hard work that Dr. Sokal-Gutierrez and her colleagues must do to counteract these effects. The investigative and production skills of recent journalism school graduates. The segment is also worth watching for the priceless comments of Coke and Pepsi (these come at about 4.3 minutes). Coke: "With basic dental hygiene practices, people have enjoyed our products for decades without risk to their dental health." Pepsi: "We believe that parents should decide what their children eat and drink...Any food and beverage with sugars and starches, including some of our beverages can contribute to the development of cavities." Those of us who have access to fluoridated water, toothbrushes, and dental care don't usually think of severe dental disease as a consequence of drinking sodas. Addition: Dr. Sokal-Gutierrez asked that I also post a photograph of what the kids' teeth look like. Happy to oblige.